Newport Folk & Jazz Festivals Returning to Their Roots? Though last year’s Newport Folk Festival was quite successful by recent standards, producer Festival Productions still owed Rhode Island money in January. Because of this, the state’s Department of Environmental Management voided their contract to produce the festivals at Fort Adams State Park. Wein said Environmental Management, which operates Fort Adams State Park in Newport, granted his request to negotiate a contract to produce the festivals. His production team has said it will be holding the folk festival July 31-Aug. 2 and the jazz festival Aug. 7-9 at Fort Adams State Park. With the Folk Festival’s 50th anniversary coming up this year, it’s worth speculating that the show might return to its folk roots – hopefully, the Black Crowes will stay away. Looking at this year’s lineup, you begin to wonder whether it might have been better if Pete Seeger had gotten his hands on an axe back in ’65. This is a folk festival in name only. 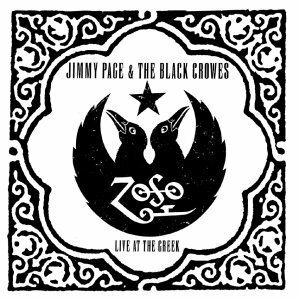 There’s a Six Degrees of Separation quality to headliner Black Crowes – “well, Jimmy Page played with them, and he was in Led Zeppelin with Robert Plant, who’s touring with Alison Krausse” – but Newport ain’t Bonarroo, so what is a derivative blues band doing topping the bill? Sunday, Jimmy Buffett takes a break from gouging yuppies to do a stripped-down set, which is promising in a fish out of water way. Speaking of fish, or Phish, to be precise, Trey Anastasio alone on stage should be worth a look. OK, it was probably time for a change from the endless years of the Indigo Girls. But the full-tilt Gilded Age aspect of this so-called “Folk Festival” is truly irksome. Is it appropriate to lob grapes and other fresh produce at the nouveau riche who shell out $500 for a chair on prime lawn space? That’s the going rate for VIP seating, which will eclipse half the main seating area. In a world where scalpers have billboards, this is standard operating procedure. I suppose next year’s headliners will be the Eagles and an unplugged version of Aerosmith. Just don’t call it the Newport Folk Festival.